Vavau Beach – One of Samoa’s best kept secrets. This natural beauty is a 1.5K walk from the resort with its own little grotto and white sandy beach. With no facilities, it reflects the natural beauty of a deserted beach for you to enjoy. To Sua Trench – Only a short drive or beach walk from Seabreeze, this unique land formation consists of two giant lava rock openings joined via ancient lava tubes caves to each other and the ocean. One without water and the other with a beautiful deep swimming hole with turquoise water accessed by a ladder. Lalomanu Beach – Lalomanu Beach on the south-eastern tip of Upolu is one of Samoa’s most pristine beaches within a lagoon that is a protected marine reserve. Great for snorkelling and diving. 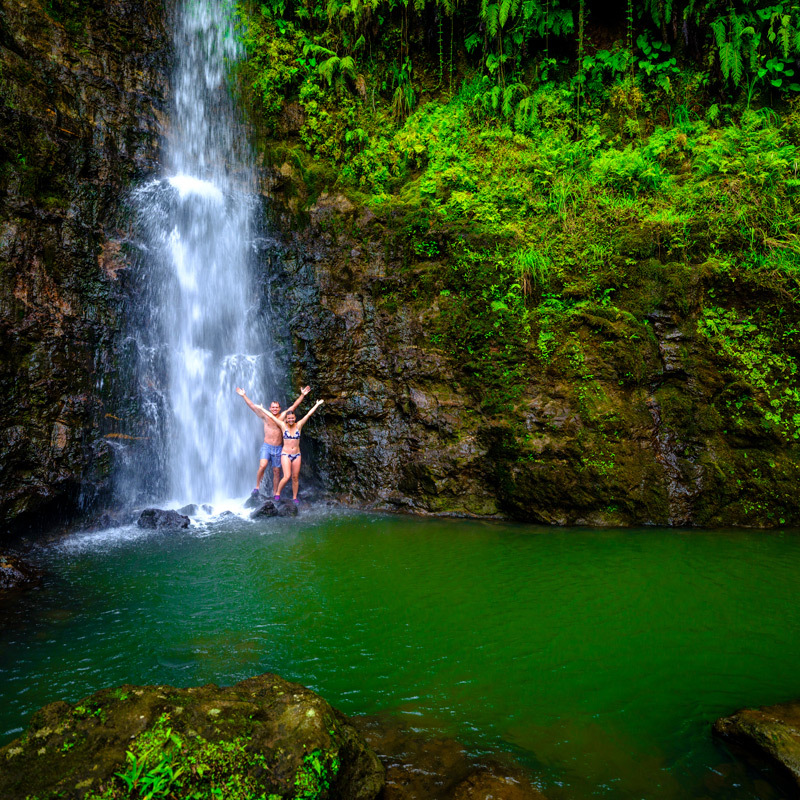 Togitogiga falls at the National Park – This waterfall is in the village of Saleilua and is situated at the edge of the O Le Pupu Pue National Park. 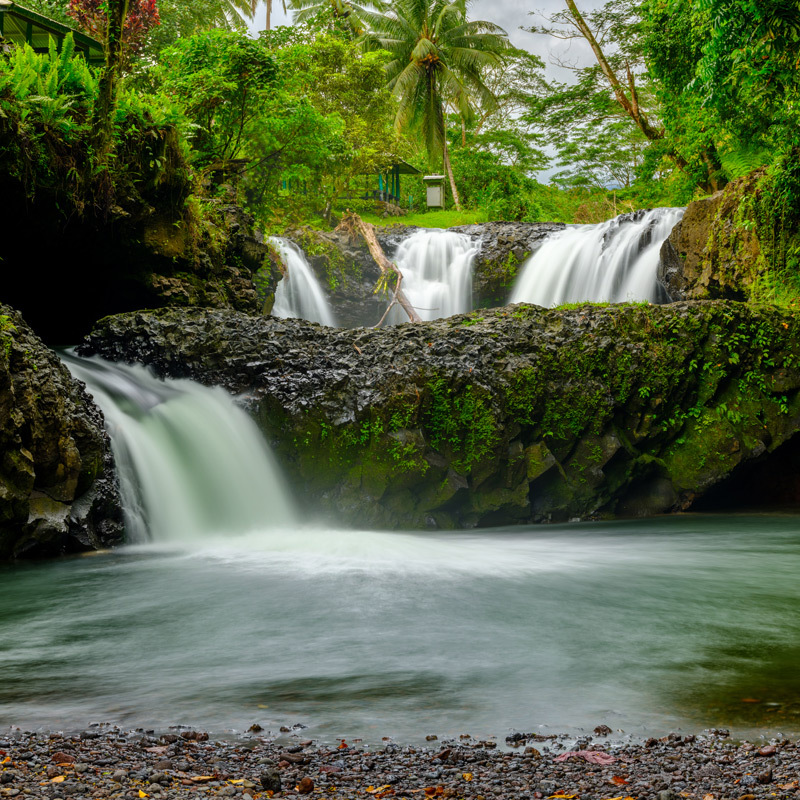 The fall was known to be used as a swimming area for the great warriors of Samoa in the past and is a great swimming area for locals and tourists today. Lefaga – Clam snorkelling – A sanctuary of giant clams can be found about 50m off the beach in the village of Savaia at Le Faga Bay. In two metres of sheltered water, they are easily reached from a sandy shore. 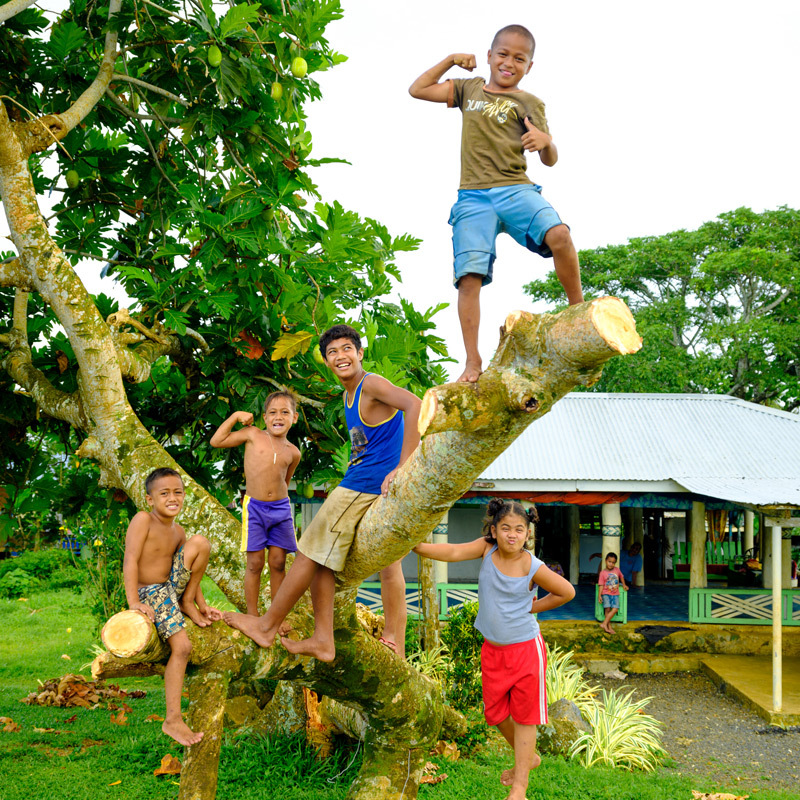 Apia Township – visit the markets, restaurants, cafes, STA Cultural Village and Robert Louis Stevenson’s museum. Take the 50 minute hike to the top of the mountain for breathtaking views of Apia and visit the grave of the man himself! Dive trips – There are several PADI certified operators on the North Coast of Upolu who offer SCUBA and snorkel trips to Samoa’s beautiful reefs. 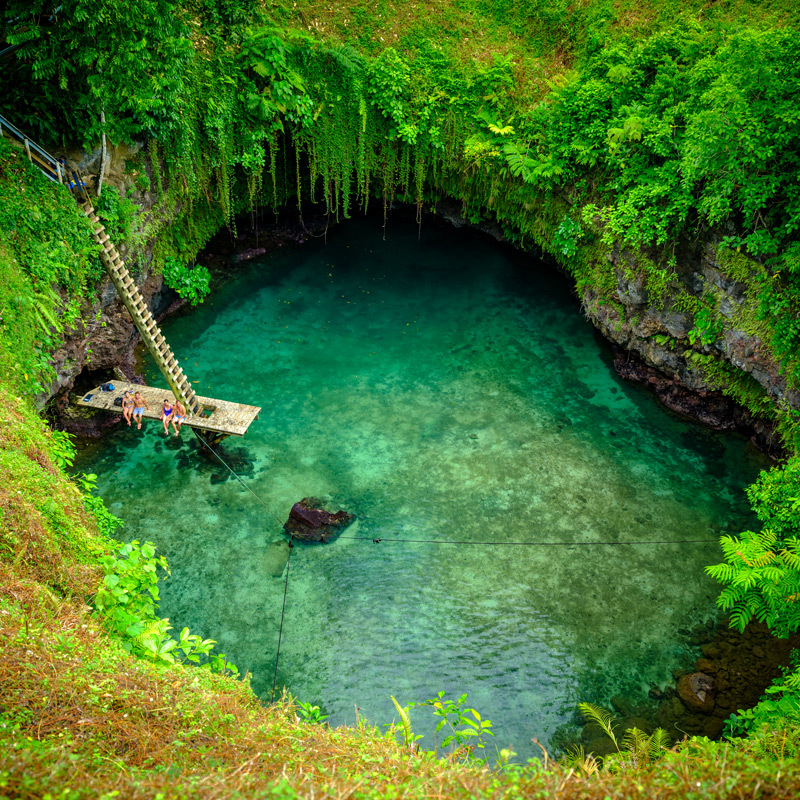 Piula Cave Pool – a natural lava tube cave containing a spring-fed pool which flows out into the sea, located beneath the historic Methodist Chapel at Piula on the north coast of Upolu island. Sopoaga Falls – Admire the thundering cascade of Sopoaga Falls from an observation deck set in manicured gardens full of native plants and trees. There is also an area for umu demonstrations and coconut husking. 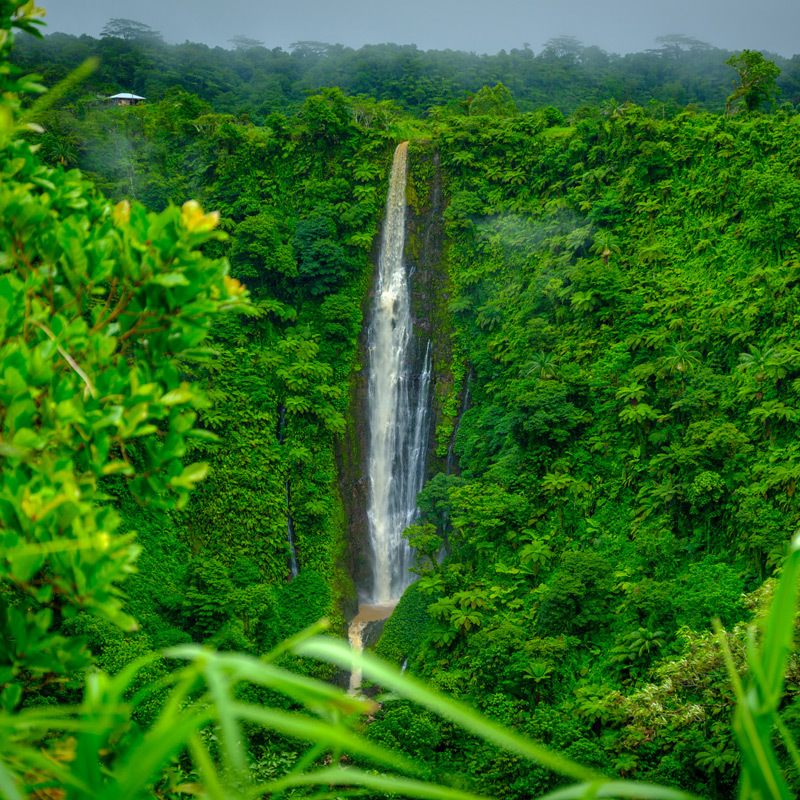 Papapai-uta Waterfall – View one of Upolu’s highest waterfalls, at 180m, from the roadside lookout on the Cross Island Road. Coastal Walking Trail – Located in O Le Pupu Pue National Park, this 1.5 hour roundtrip trail skirts the coastal cliffs with views of offshore rock formations, and ends on an exposed lava rock peninsula. The coastal rainforest flora is unique, and seabirds are often seen among the rocks. 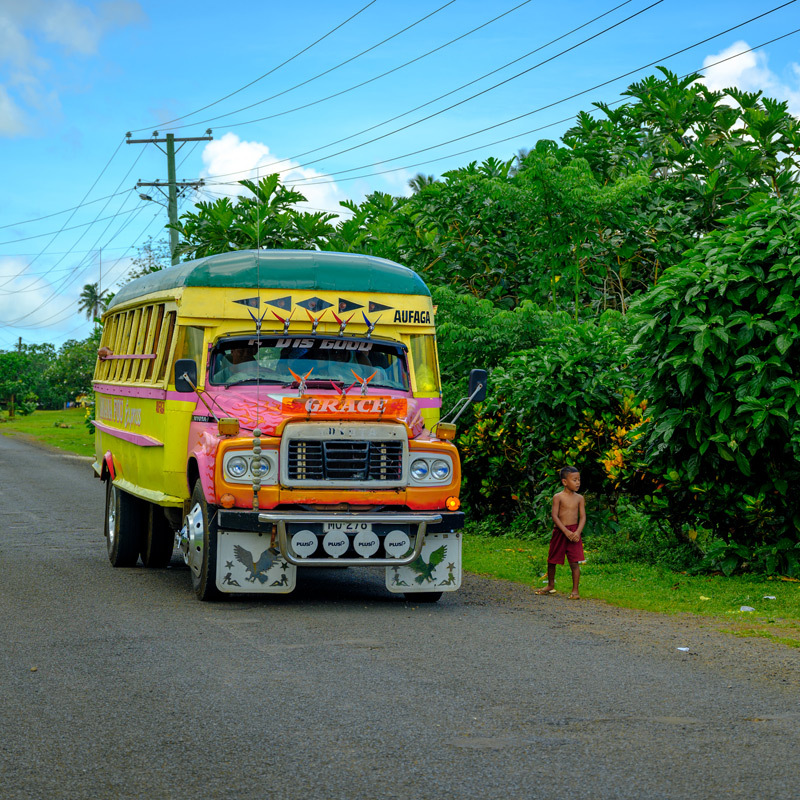 Surfing – There are great surf breaks in Samoa, and without the crowded line ups found in many other destinations. 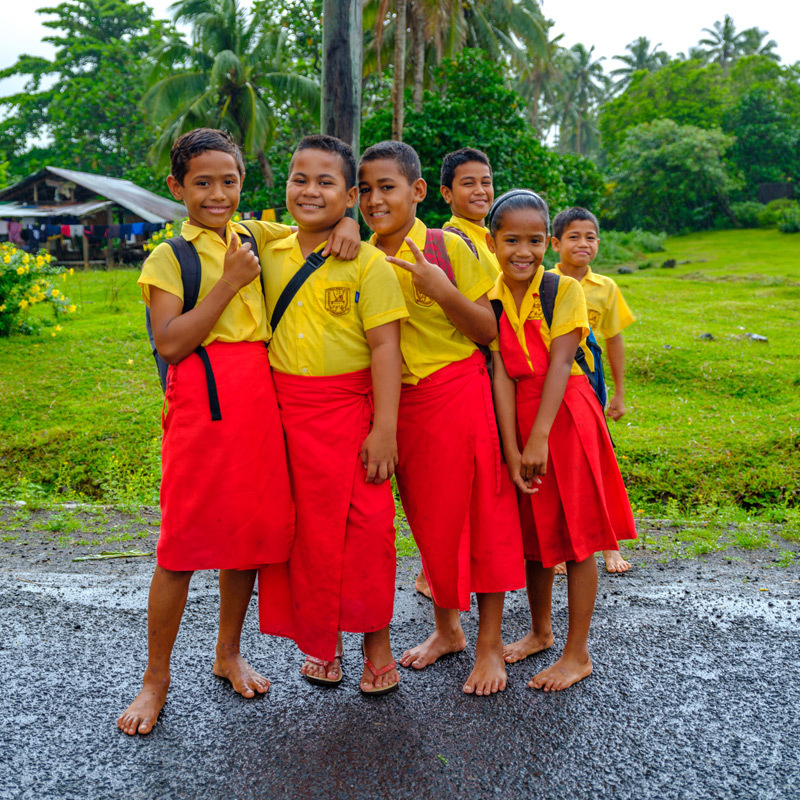 Surfing Samoa though is not for novices or the faint hearted, breaks like “Boulders”, “Tafitoala” and “Salani” have attracted top talent over the years. Several options are available for those wishing to book surf guides (recommended). Fishing – Two well-known local operators offer game fishing charters in the only lightly fished waters around Upolu. And you know what lightly fished means: more catches!